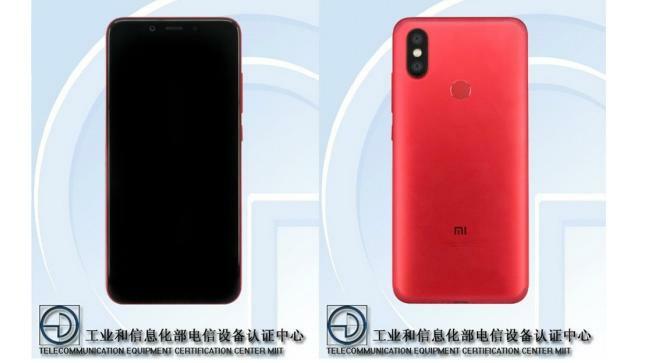 Xiaomi is all set to launch the Mi 6X which was recently spotted on TENAA revealing a bunch of details about the smartphone. Some reports are suggesting that the Mi 6X could be launched as the Mi A2 in India with stock Android. The smartphone’s specs were revealed on China’s TENAA, along with the design of the smartphone. According to a screenshot of the listing of the smartphone, the Mi 6X is going to feature a 5.99 inches FHD+ display with 18:9 aspect ratio. The smartphone might be powered by a Qualcomm Snapdragon 626 octa-core SoC running at 2.2 GHz frequency. The smartphone will sport 4GB of RAM and about 64GB internal storage which is going to be expandable. The screenshot also reveals the battery of the smartphone to be of 2910mAh capacity which is smaller than its predecessor, the Mi 5X/Mi A1. The Mi 6X will be shipped with Android 8.1 Oreo-based MIUI running out of the box. But looking at its predecessor, the Mi A2 will be running on stock Android Oreo. The Mi 6X is said to be sporting a dual camera setup at the rear, in the form of a 20MP + 8MP configuration. The front camera will be a 20MP shooter with f/2.0 aperture size which is a drastic update over the 5MP selfie camera on the predecessor. The Mi 6X is supposed to be 7.3mm thick. The Mi 6x might be exclusive to the Chinese market and may get released as Mi A2 in Global market.